Hello! And welcome to the 488th Digital Photography Review newsletter. Hmm... somehow or other it's mid-December, how terrifying... this year certainly has whipped past very quickly, and one of the things that the entire team here realized as we were putting together our recent buying guide content was just how many new products came out in 2013. There's a link to all of that content below (stop me if you've read any of it before) and I'm currently putting the final touches on a series of polls to let you, our loyal readers have your say about the best cameras and lenses of the year. Buying a new camera or lens can be fraught with difficulty. 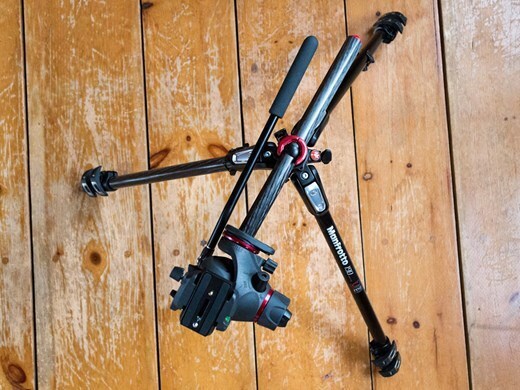 Finding the right gear is hard, and depends on a lot of different factors – what sort of photography you enjoy doing, what kind of size and weight you're comfortable with, and of course how much you're prepared to spend. 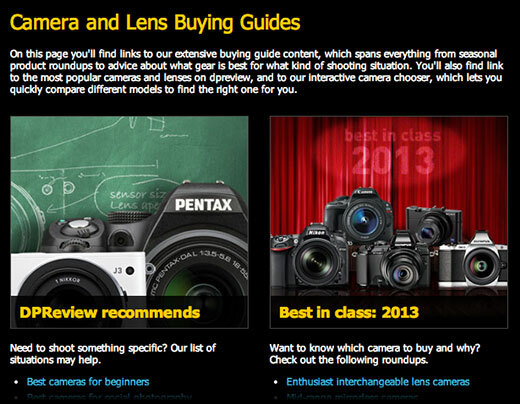 On this page you'll find links to our extensive buying guide content, which span everything from seasonal product roundups to advice about what gear is best for what kind of shooting situation. You'll also find links to the most popular cameras and lenses on dpreview, and to our interactive camera chooser, which lets you quickly compare different models to find the right one for you. A lot of equipment passes through our Seattle and London offices, everything from high-end cameras to inexpensive accessories. A lot of it gets reviewed, but we can't cover everything. In this series of short articles, DPReview staff will be highlighting their personal standout products of the year. 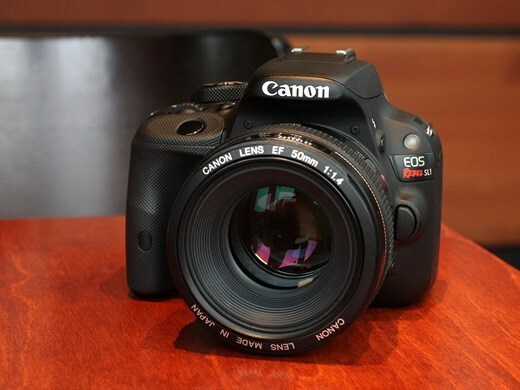 In part 5, Shawn Barnett talks about his personal favorite - the Canon Rebel SL1 / EOS 100D. DxOMark has just reviewed the Sigma 24-105mm f/4 DG OS HSM, a general-purpose zoom for full frame SLRs. As part of our ongoing collaboration we've added the test data to our lens widget, and looked to see how it compares to the Canon equivalent. We've also added test data for the Nikon mount version of Zeiss's stellar Apo Sonnar T* 2/135. Click through for our full analysis, and a link to DxOMark's own reviews. Although we haven't stopped working, the situation today is much the same as it was this time last week. We're still working hard on the new Nikon Df, we're almost done with our full review of the Panasonic Lumix DMC-GM1 and we're also aiming to get a decent chunk of content published about the Sony a7 and a7R before the end of the year. We're really hoping to be able to publish the archived video from last week's 'dpreviewLIVE' broadcast day as well, once some technical snags have been ironed out. Rewards are back! Buy almost any system camera or lens we sell, and automatically earn 2% back to spend on anything in the store. Look for on graphic on the product page telling you the item is eligible, or read the fine print. This week's best deals: Buy any Olympus mirrorless camera and save $200 off your choice of select pro-quality Olympus lenses, including the new 12-40mm F2.8. Save up to 40% on select Kata backpacks and sling bags, while supplies last! Now shipping: Sony a7R and Fujifilm XF 23mm F1.4 R lens are in stock now! Don't forget: We have free 2-day shipping on everything in the store, with orders for in stock items arriving in time for Christmas, as long as you order by December 22nd. Google is reaching out to photographers to help capture and record the planet's most hard-to-reach places using Android's Photo Sphere feature. A new tool lets users upload and connect their 360-degree photo spheres to create virtual tours that can be shared in Google's Street View. Learn more on connect.dpreview.com. A lot of equipment passes through our Seattle and London offices, everything from high-end cameras to inexpensive accessories. A lot of it gets reviewed, but we can't cover everything. In this series of short articles, DPReview staff will be highlighting their personal standout products of the year. In part 5, Shawn Barnett talks about his personal favorite - the Canon Rebel SL1/100D. Adobe has announced the final versions of Camera Raw and DNG Converter 8.3, along with Lightroom 5.3. Different versions for ACR 8.3 are available for Photoshop CC and Photoshop CS6 - both from Adobe.com and through the update mechanisms in the software. DNG Converter is available for free for users of older versions of Photoshop. The latest versions brings support for 20 cameras, including the Nikon Df and Nokia Lumia 1020 that weren't in the release candidate versions. A major software update promises to fix the bevy of camera issues Nexus 5 users started complaining about as soon as they got Google's newest smartphones in hand. So does the Android update make for a more responsive camera? We put our refreshed Nexus 5 through its photographic paces on connect.dpreview.com. Eye-Fi is beta testing a new desktop receiver for Windows that will allow for direct transfer from the Eye-Fi Mobi card to the desktop. Launched earlier this year, the Eye-Fi Mobi card uses Wi-Fi to wirelessly send images to your mobile device via an iOS, Android or Kindle app — and now straight to your desktop. Download the new software for free on connect.dpreview.com. Adobe's latest versions of Camera Raw and Lightroom contained a pleasant surprise for Olympus owners - color profiles for image conversion. The company says the addition is a response to 'a long standing customer request.' We've re-processed one of the images from our Olympus OM-D E-M1 sample gallery to see how closely the profiles match the camera's 'Natural' setting. Hong Kong-based lens maker SLR Magic has announced an addition to its family of video-oriented manual focus fast primes for Micro Four Thirds. The 17mm T1.6 offers an angle of view equivalent to 34mm on full frame, and has geared focus and aperture rings. It will be available at the end of December 2013. Lomography has announced that its Kickstarter-funded Petzval portrait lens is now available for pre-order in Canon and Nikon mounts. Based on a 19th century optical design, the 85mm F2.2 lens has a brass lens barrel, a 'gear rack' manual focusing mechanism using a knob on the side of the barrel, and a set of drop-in 'Waterhouse stops' to change the aperture. The pre-order package costs $599 from Lomography's website, with a current delivery estimate of May 2014. We've come to the end of another week here at dpreview, and as our thoughts drift to weekend shooting opportunities, it's time to take things a little less seriously. Aaron Johnson's comic strip ‘What the Duck’ is just the thing, taking a gently satirical look through the lens of a photographically inclined waterfowl. You can find it published here (and in our newsletter) every week; we hope you enjoy it, and your weekend. Tamron has announced that its SP 150-600mm F/5-6.3 Di VC USD telephoto zoom will go on sale on December 19th in Japan, and 17th January 2014 in the USA. The lens will feature optical image stabilization and an Ultrasonic Silent Drive autofocus motor, and be compatible with both full frame and APS-C SLRs. It will be available first in Canon mount, with Nikon and Sony versions to follow. Pricing is still to be confirmed. To unsubscribe from the Digital Photography Review (dpreview.com) weekly newsletter, visit the newsletter homepage (http://www.dpreview.com/news/newsletter/), enter your email address into the Your email address box, then click on Unsubscribe.